For a CFO, navigating new institutional ownership is “a whole new world.” And often, not a welcoming one. Why? There are many reasons, but chief among them is also the simplest: CFO business-as-usual is not PE-backed CFO business-as-usual. Institutional ownership comes with meaningful strategic and tactical changes and increased functional responsibilities — all of which are infinitely more demanding and frequently overwhelming. 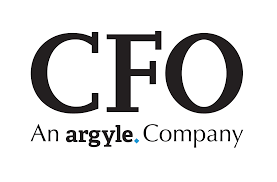 Jason and Ayla’s article was published in CFO in July 2018. What are the keys to succeeding under institutional ownership? The following are the top five. Investors, lenders, owners, and other key stakeholders all share this common refrain, as well as a near insatiable hunger to see the reports. Cadence and consistency are expected components of reporting in a company whether it’s at month-end, quarter-end, or year-end (and usually all three). Under private equity ownership, those deadlines for reporting become significantly accelerated. As a result, the finance and accounting teams will need to find ways to not only close the books faster, but also to consistently cater to enhanced reporting needs, both internal and external. With respect to condensing reporting timelines and increasing cadence, the well-prepared PE-backed CFO will learn to optimize the process, in part by decreasing manual inputs for financial and operational metrics in board reports. He or she should also identify the critical team-assessment questions to ask in order to improve the function and process going forward: Are skill sets being used strategically and appropriately? How well did year-end audit go last year? Were there a lot of necessary adjustments? Delays? 2. Can You See Me Now? With institutional ownership comes a desire — make that a demand — to know more about the company than the degree to which management has become accustomed. Founder-owners of companies often learn to rely on instincts about the business and its general direction. But the sponsor will require details above and beyond directional progress. They’ll want to quantify and measure. And, given the changes in capital structure, what they’ll want to measure will be meaningfully different, with an enhanced focus on cash and liquidity in a leveraged environment. As a result, the PE-backed CFO must understand the significance of visibility — providing the sponsor with an ongoing and accurate window into the company’s financial and operational performance. Too often, however, what that window reveals is a system of disparate data, manual processes, and an FP&A team ill-prepared to meet transparency demands. Sponsor reports are, therefore, one- dimensional, with too many critical questions unanswered. That’s a giant red flag to the new PE owner. The well-prepared PE-backed CFO will quickly develop a toolset that can drive visibility for the sponsor. Taking the time to aggregate all relevant pieces into a consolidated model that can efficiently produce the needed monthly reports will be a laborious upfront task. But, it will be time valuably spent, enabling key stakeholders to effectively track the progress of value creation initiatives. If a CFO cannot meet the new heightened demand for information, they will eventually lose the confidence of the sponsor. But if they can quickly show that they appreciate and can efficiently respond to new informational requests, then that relationship can be a rewarding and productive one. CFOs are tasked with providing financial information. PE-backed CFOs are expected to provide actionable financial insight as well. Where informational reports suggest a negative outcome, sponsors will ask additional questions to try to determine the root cause. But unusual positive outcomes are not exempt from scrutiny either. Surprises can create concern about unfamiliarity with the business or the market environment. A well-prepared PE CFO will anticipate the sponsor’s follow up questions to regular reporting, because they will understand the nature of those questions — they are driven by the investment thesis. The sponsor made an investment decision based on what they learned in the diligence phase and even ad hoc analyses requests can be viewed as on-going extended due diligence. A quantifiable understanding of business drivers: Saying sales is down because demand is soft is not enough. Is it a price problem or volume? Seasonality? Geographic issues? Specificity wins the day. The right personnel: an understaffed or ill-resourced FP&A team may be able to appease tactical reporting demands but will certainly struggle to answer the strategic questions. The appropriate systems: Without proper technology to capture data within the company, insights into performance become SWAGs (wild guesses) instead of well-developed answers about the key drivers of financial results. Bad guesses lead to bad decisions. O2C, P2P, R2R, KPIs. … Know them. Rectify Them. Report them. What the inexperienced PE CFO often doesn’t understand is that the root cause of almost all reporting issues is the quality of the process. If the process is ineffective, insight is impossible: No CFO will ever be able to explain why an important number changed, if she doesn’t not understand how the number was reported in the first place. CFOs who are successful under institutional ownership have an intimate understanding of the order-to-cash, procure-to-pay, and record-to-report cycles. More important, they have identified and are rectifying gaps in those cycles, like inadequate process documentation, multiple location cycle discrepancies, and incomplete reconciliations and accruals. And, of course, they also understand the importance of the end-all-be-all acronym (at least, in a PE-backed environment): the KPI. The question isn’t, “do you have them?” It’s “are you measuring the right ones?” To answer that, the PE CFO will need to know which metrics peer companies use. And, importantly, the CFO will need to know whether the company’s data sets are clean enough and its reporting process efficient enough to create KPIs that can accurately answer the important operational questions. The lifecycle of the sponsor-company relationship is finite. The goal of the all the new processes, procedures, and strategies undertaken by the PE firm is meaningful value creation over the length of the investment. As a result, the value creation plan is the definitive roadmap for the company while under the new ownership. And the finish line is a realization of value creation via a successful exit. To cross that line, it will be essential that the CFO speaks the language of value creation — EBITDA growth — and speaks it fluently enough to proactively flag the challenges that may prevent an ideal exit scenario. Navigating the whole new world of PE ownership can be difficult, demanding, and overwhelming. But, by understanding the dynamics that create productive sponsor relationships, a PE-backed CFO can help drive increased investment profitability and a mutually rewarding exit. Jason Madden, senior director, and Ayla Queiroga, vice president, are with Accordion, the private equity financial consulting firm focused on the office of the CFO.